Categories: All Products, Bag and Case. (1) 10' Ready Pop or smaller, (1) 10' RPL or smaller, or (1) 10ft EZ Tube or smaller. 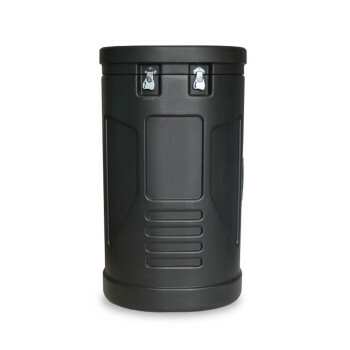 The Medium Hard Case is a molded plastic hard carry case with a center handle grip and inset wheels for easy mobility. It’s oval shape fits some of our larger displays.